O​n the night of April 14, 2014, 276 girls from the Chibok Secondary School in northern Nigeria were kidnapped by the deadly terrorist group Boko Haram. Fifty-seven of them escaped over the next few months, but most were never heard from again. Acclaimed novelist Helon Habila, who grew up in northern Nigeria, returned to Chibok and gained intimate access to the families of the kidnapped to offer a devastating account of a tragedy that stunned the world. 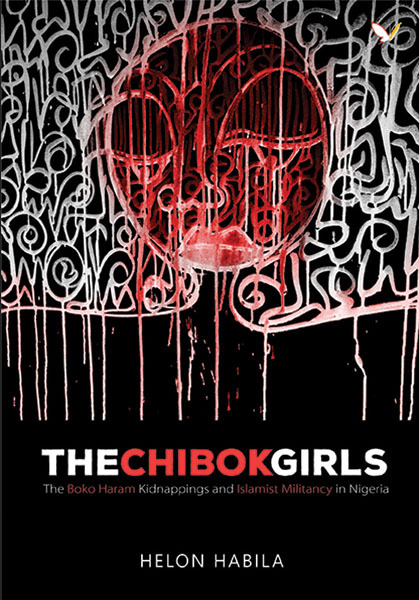 With compassion and a deep understanding of the historical context, Habila tells the stories of the girls and the anguish of their parents; chronicles the rise of Boko Haram and the Nigerian government’s inept response; and captures the indifference of the media and the international community whose attention has long moved on. ​Employing a fiction writer’s sensibility and a journalist’s curiosity, The Chibok Girls provides poignant portraits of everyday Nigerians whose lives have been transformed by extremist forces. Habila illuminates the long history of colonialism—and unmasks cultural and religious dynamics—that gave rise to the conflicts that have ravaged the region to this day. Helon Habila was born in Nigeria. He worked in Lagos as a journalist before moving to England in 2002 for a writing fellowship at the University of East Anglia. Helon Habila’s writing has won garnered prestigious awards that include The Caine Prize and The Commonwealth Prize for Best First Novel. Helon Habila currently teaches creative writing at George Mason University in Virginia.